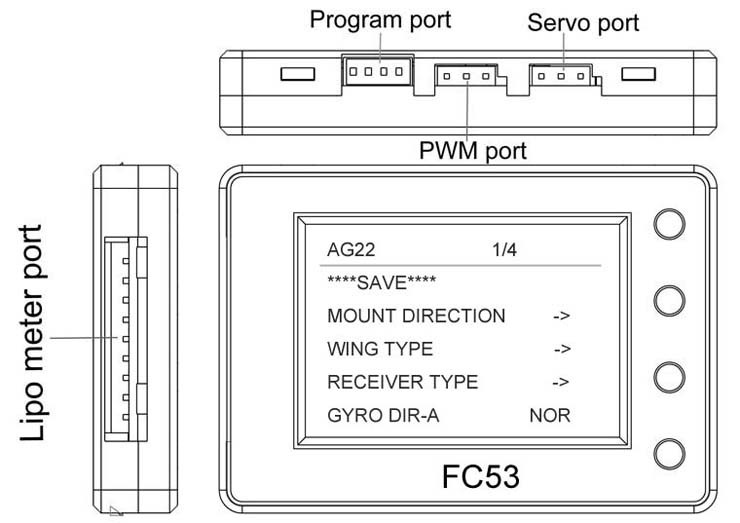 AG22 Flight controller for Airplane, supports single aileron, dual aileron, V-tail, flying wing, and etc. Support auto-level mode, gyro on mode, and gyro off mode. 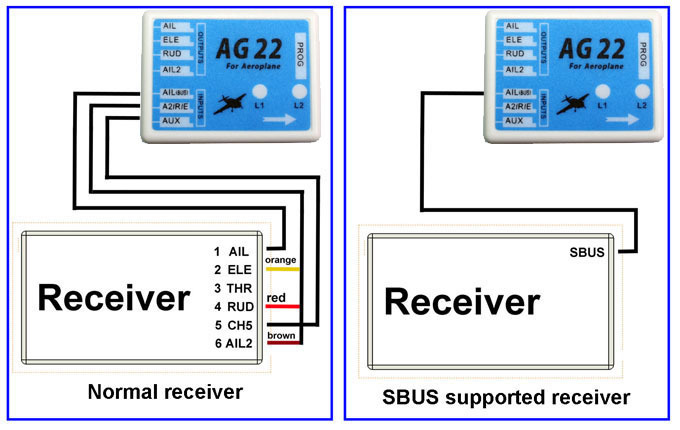 AG22 flight control is a precision designed specifically for fixed-wing flight controllers. It allows beginners to get started quickly, and the experts to make more professional flight. 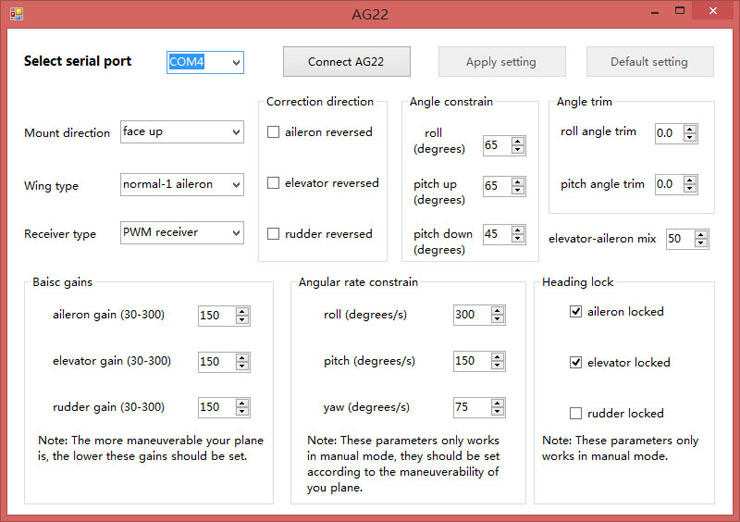 AG22 can increase aircraft stability and maneuverability. It can be set by computer GUI program and FC53 multi function field card.